Dr. Ying Wang is an Associate Professor of Marketing in the Williamson College of Business Administration, Youngstown State University. Dr. Wang earned both her Master and Ph.D. degrees from Kent State University in the U.S. after receiving her undergraduate degree at Renmin University and working in China for a number of years. She now teaches various marketing and advertising courses at Youngstown State University. Dr. Wang has also been a visiting professor/scholar at the Renmin University of China in Beijing and Fudan University in Shanghai. Her research focuses on cross-cultural marketing communication, new technologies, and mobile marketing. She has published in many academic journals such as International Business Review, International Marketing Review, Journal of Marketing Communication, Journal of Promotional Management, Asia Pacific Journal of Marketing and Logistics, Asia Journal of Communication, Direct Marketing – An International Journal, Marketing Management Journal, Journal of Intercultural Communication, Journal of Current Research and Issues in Advertising, Journal of Current Business Issues. Before becoming a professor, Dr. Wang worked in industry for seven years as an international marketing consultant. She has conducted consulting projects for high profile international companies such as 3Com, IBM, Motorola, Fujifilm, Compaq, HP, and Marriott Hotel. . Professor Matsumoto obtained his Ph.D. from Kobe University in Japan by conducting an in-depth study of Japanese cross border M&A. He obtained his MBA from Thunderbird School of Global Management on the US Fulbright program. His main research area is cross border M&A and post-acquisition management. Before joining Kyoto University, he was an associate professor at Doshisha Graduate School of Business. He teaches Business Analysis and Valuation, Mergers & Acquisitions and Corporate Strategy. He also has more than 15 years of experience in investment banking and advisory as a managing director at global institutions, including HSBC (The Hong Kong Shanghai Banking Corp.), Macquarie Capital, and PwC. He advised more than 50 Japan related cross border transactions in 20 countries including US, UK, France, China and Vietnam. In 2015, he won the 9th M&A Forum Grand Prize with his recent publication about Japanese outbound acquisition. His new book “Japanese outbound acquisitions, Explaining What Works” (in English) will be published from Palgrave Macmillan in 2018. Dr. John (Ed) Knight is Professor of Management in the Department of Management, Marketing, and Information Systems at the University of Tennessee at Martin since 1971. Professor Knight retired and relocated to Florida 3 years ago where he still teaches a full time on-line position with the same university. Professor Knight received his B.S. I. E. , M.S.I.E, and Ph.D. from the Georgia Institute of Technology. He was a licensed Professional Engineer in Tennessee and held multiple certifications from the American Society of Quality Control including Quality Engineer and Quality Manager. During his 47 years of teaching, he was actively engaged in consulting throughout many Southern states and internationally in Japan. As a faculty member at the University of Tennessee at Martin, he taught both undergraduate and graduate classes in operations management, business statistics, operations research, quality control, work measurement and improvement, and general management principles. His consulting experiences related to business operations and productivity analysis. For many years, he was the consulting plant industrial engineer for the Ferry Morse Seed Company in Fulton, Kentucky. Based on these numerous consulting experiences, Professor Knight has presented many research papers related to actual (and theoretical) industrial applications. Additionally, he has also served as an expert witness in several civil cases involved with paraplegia and the resulting implications in the life of a paraplegic. His research has also developed a fruitful area of research into evaluating writing through rubric development and evaluation. His present research focuses on using design of experiments to determine the most important factors to significantly improve business writing styles. He has published research articles in the Journal of Operations Management, The Production and Inventory Management Journal, the International Journal of Teaching and Learning, and The Business Review (Cambridge) among others. Given his 45 years of service at the University of Tennessee, he also has served on numerous university and school committees and has been recognized as a University Scholar and received teaching awards for his efforts. Tony Carter, Ph.D., J.D., M.B.A. is a Professor of Management and Director at the School of Business at the University of New Haven. In addition, he is a Visiting Professor at Columbia University, Graduate School of Business, where he teaches in the M.B.A. program and has taught in the Executive M.B.A. program. At Columbia University, Dr. Carter was also the Associate Faculty Director for the Executive Management Programs in Sales Management and Key Account Management. He was the General Mills Visiting Professor at Columbia University, Graduate School of Business. He has over 20 years experience teaching in top ranked Executive M.B.A. and Executive Management programs. He is a Professor at Linyi University in China and has been a Visiting Professor of International Management at ISM University of Management and Economics in Vilnius, Lithuania. He was Academic Director and Professor at the Christos M. Cotsakos College of Business, William Paterson University, and founding faculty member of the Russ Berrie Institute of Professional Sales, known for its innovative technology management lab. He has also done extensive work in “Management Coaching” which includes publications and consulting. The author of the seven books: Contemporary Sales Force Management, The Aftermath of Reengineering: Downsizing and Corporate Performance, Customer Advisory Boards: A Strategic Tool for Customer Relationship Building, Sales Force Management: A Contemporary Approach, Many Thin Companies: The Change In Customer Dealings and Manager’s Since September 11, 2001, The Encyclopedia of Strategic Marketing Management and Globalization and The Economic Geography of Globalization. Dr. Carter has had his research published in Harvard Business Review and has had his work published in the Columbia Journal of World Business, the Journal of Professional Services Marketing, Journal of Marketing Management in Customer Service, Services Marketing Quarterly, Journal of Strategic Marketing, Selling Power Magazine, Asia Journal of Entrepreneurship, American Journal of Economics and Business Administration and Journal of Personal Selling and Sales Management , International Management Review, Journal of Management Policy and Practice. He has also been interviewed in Business Week and numerous television and radio programs and he is the editor-in-chief of the Journal of Hospital Marketing and Public Relations. He had a feature article done about him in Investor’s Business Daily the premiere investor’s newspaper circulated worldwide. Dr. Carter has worked as a manager for several corporations and has been a Professor at Linyi University in China and guest lecturer at Universities overseas, such as the Caucasus School of Business in Tbilisi, Georgia, University of Bologna and University of Vilnius in Lithuania. His case studies and research on management, sales and sales management have been adopted and used by various Universities and organizations around the world. Dr. Carter has conducted research in the European Union, the People’s Republic of China and Eastern Europe. He has also collaborated with such notables, as Dr. Joseph Stiglitz, the 2001 Nobel Prize winner in economics. Still an active consultant, he works on management, sales and sales management issues for a variety of companies worldwide, including Fortune 500 corporations, such as American Express, SONY Corporation, Dun & Bradstreet, Digital Equipment, Guardian Life Insurance Company, the United Nations , NAACP and Lubrizol Corporation. Dr. Carter was the recipient of the “2004 Stillman Award for the Best Business Book of New Jersey Business Faculty" and also received the “2006 Stillman Award for the Best Business Case Study” and is currently a FULBRIGHT SPECIALIST SCHOLAR. Dr. Pakdil is currently a Professor in the Dept. of Business Administration at Eastern Connecticut State University. Dr. Pakdil wrote a book titled Performance Leadership™ with Dr. Leonard and the book was published by Business Expert Press in May 2016. Dr. Pakdil worked as a Visiting Professor at Auburn University for Academy of Aerospace Quality (AAQ) Project between August 2014 and August 2015. 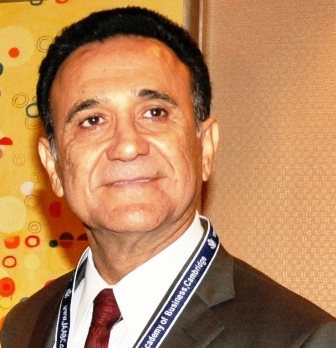 Dr. Pakdil has published articles in journals such as Administration & Society, International Journal of Intercultural Relations, International Journal of Production Research, International Journal of Cross-Cultural Management, Transportation Research Part C, and presented in numerous national and international conferences including the Academy of Management and INFORMS. 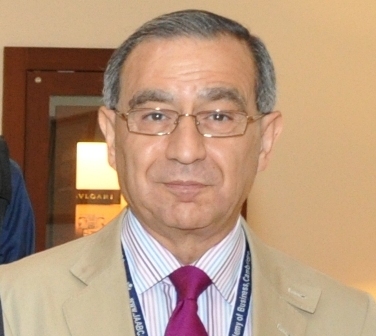 Dr. Pakdil earned Associate Professorship of Management in 2008 from Higher Education Council in Turkey. Dr. Pakdil specializes in Organization Theory, Healthcare Organizations, Total Quality Management, Human Resource Management, Organizational Behavior, Service Quality, and Quality Control. Dr. Pakdil was also employed for 6 years as the Quality Director at Konur Hospital in Turkey. On a year long sabbatical awarded by the Turkish National Scientific and Technological Council, Dr. Pakdil collaborated with Dr. Karen Leonard on the cultural aspects of lean management at Indiana University-Purdue University Fort Wayne in 2012. Dr. Pakdil researched corporate performance management systems in healthcare organizations at Wake Forest University, Baptist Medical Center in North Carolina for Ph.D. studies in 2001. Dr. Pakdil joined Baskent University, School of Engineering in September 2003 and earned a full professorship in management in June 2013. Before joining Baskent University, Dr. Pakdil was employed by the Uludag University Department of Industrial Engineering as a lecturer for 4 years. Dr. Pakdil earned her MBA in 1996 and Ph.D. in Business Administration in 2002 from Uludag University. 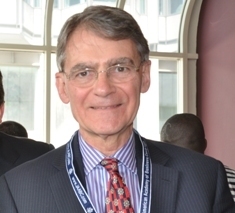 Dr. Fred Petro is Professor of Accounting who joined the faculty of Pepperdine University in the Fall of 1980. He received a B.S. and M.B.A. from the School of Accountancy, University of Southern Mississippi (1960, 1968) and Ph.D. from the University of Arkansas (1973). He was a faculty member of the University of South Alabama College of Business and Management Studies-Department of Accounting (1972-1980). Dr. Petro has presented papers nationally and internationally and published in journals on a variety of managerial and financial topics. The focus of much of his research is on accounting pedagogy. Specific areas include cash flow, the statement of cash flow, earnings forecasts and forecasting projects. He has also served as a reviewer of both journals and books. When Dr. Petro first joined Pepperdine University, he was the major voice in designing and implementing the undergraduate accounting curriculum, which exists to this day with only slight modifications. This program has produced successful graduates who are in positions of senior management and partners in accounting firms worldwide. Dr. Petro is a former cost analyst for Gulf Oil Corporation. He is a former partner in the consulting firm of P. L. Petro and Associates. Holding the professional designation, Certified Management Accountant (CMA), Dr. Petro has demonstrated keen insights into improving management decisions. Although his talents are recognized as a CMA, his first love is the classroom. Most recently, he has focused his energy on the use of information technology to make the classroom learning experience more effective and enjoyable. Dr. Petro has won various teaching awards. Dr. Julius Demps II is an Associate Professor of Management in the Davis College of Business at Jacksonville University. He teaches a number of courses in the areas of Management, Leadership, and Human Resources in the Traditional Undergraduate, Adult Degree, and M.B.A. programs and has taught in the Executive M.B.A. program at the university. Dr. Demps has served on the committee for Teaching Excellence, Chairperson for the Student Alumni Advisory Committee, Davis College of Business Executive Committee, Graduate Committee, Campus-Wide Sexual Harassment Committee, and Faculty Chair for Alpha Kappa Psi Business Fraternity. In previous years he also served as the Co-Director of the Davis Leadership Center. Dr. Demps works tirelessly with the Student Life Department and Jacksonville University Athletics as a mentor, guide, recruiter, and advocate for all students, as they are his primary passion. Dr. Demps is the President of Janus View, LLC, a consulting firm that is uniquely designed to deliver seminars and teambuilding activities, which provide insight into some of the primary issues that affect American schools and business organizations. These seminars are designed to “plant seeds” which help individuals reflect upon how they are affected by their own behaviors and how those behaviors impact the world around them. His goal is to connect the realms of K-12 academia and business organizations by using a Janus-type method...looking at the past to improve the future. His research interests include studies involving the evaluation of the perceptions of employee salary reductions and organizational downsizing with integrity. Dr. Demps was named the Jacksonville University Adult Degree Program Professor of the Year in 2007, received the 2007 Best Presenter Award at the International Economics and Business Conference in Miami, FL, the recipient of The Faculty Excellence Award for University Service (2010) and is Jacksonville University’s only two-time recipient of the Tim Shakespeare Award for Outstanding University Service (2010 & 2016). Dr. Demps also proudly serves the community of Jacksonville, FL as an active member of Alpha Phi Alpha Fraternity, Inc.
Kathryn J. Ready is a professor of Management and former chair of the Department of Business Administration in the College of Business at Winona State University, one of the seven campuses of the Minnesota state university system. She has a Ph.D. in Business Administration from the University of Iowa with an emphasis in industrial relations, human resources and complex organizations. She has previously taught in graduate and undergraduate programs at the University of Wisconsin-Eau Claire, the University of Minnesota and the National Economics University in Vietnam. She has taught courses in several management areas with a current focus on strategic management, social entrepreneurship, international management and Chinese Business and Culture. In 2011, Dr. Ready developed a travel study program to China, partnering with local business organizations, and annually leads students on this travel study throughout China. In 2011, she received the engaged leadership award at Winona State University due to her extensive involvement with the area business community and her work in cultivating and overseeing student projects in her courses supporting both profit and nonprofit organizations. Dr. Ready has a unique combination of academic and business experience with an extensive background in the transportation and travel industry. She is the co-owner of a logistics and travel company, and a former co-owner of motorcoach and school bus transportation companies. Her consulting work has primarily focused on strategic management, labor and human resource issues in the airline, bussing and travel industries. She has authored several successful grants from the Federal Transit Authority, U.S. Dept. of Homeland Security, and Minnesota State College and Universities among others. She participates in several academic associations, as well as travel and bussing associations, and serves on area community nonprofit boards. Dr. Ready’s research has been published in over 90 scholarly publications with the majority in peer-reviewed journals such as ILR Review, Journal of Labor Research, Journal of Higher Education Theory and Practice, International Journal of Purchasing and Operations Management, Journal of Management Education, Journal of Travel and Tourism Marketing, Journal of Transportation Management, and Issues in Information Systems among numerous others. She is co-editor of a book entitled “The North American Free Trade Agreement Labor, Industry and Government Perspectives” and has written several book chapters in areas such as NAFTA, motorcoach security practices and cross-cultural managerial issues. She regularly presents her research at national and international conferences and has received several best paper and best presenter awards. Her current research interests focus on cross-cultural management issues, academic retention policies among diverse populations, and the cultivation and analysis of engagement practices within the university and business sectors. Larson Ng is an Educational Specialist in the College of Education at the University of Hawai‘i at Mānoa. As a researcher, he actively conducts and publishes research in the fields of business and economic sustainability literacy and curriculum development; Native Hawaiian education policy and program evaluation; and community leadership and management. He also has and continues to teach courses in research methodology, which he incorporates leadership and economic concepts in the College of Education’s graduate programs. Larson rounds his academic regimen by occasionally serving as a board member in both the business and education arena. Outside of academia, Larson spends a great deal of time serving the Native Hawaiian community. As an advocate of sustainable economic growth, he frequently gives guest interviews on local community television sharing how Hawai‘i can ensure its 21st century long-term prosperity by simply taking those steps to re-engineer its current economic base. Larson also serves as a strong advocate and proponent of utilizing those pedagogies and content-based curriculum responsive of the educational needs of Native Hawaiians. 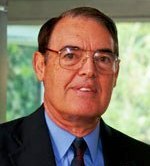 Dr. David L. Ralph is the Founder of Antelope Valley Christian School and served as President & CEO for eighteen years. In addition, he is a tenured faculty member of Pepperdine University. In his 40 years at Pepperdine in addition to teaching marketing, Dr Ralph has an exhaustive record of service to the University as well as the community. Dr. Ralph has served as the Associate Dean of the Graziadio School of Business and Management as well as the Chair of the Marketing, Economics, and Quantitative Methods Department. Dr. Ralph has an extensive consulting record with a variety of companies and is widely published in the field of marketing. He also has widespread pro bono consulting work with nonprofit organizations. He is on the board of directors for the SimulationsPlus which is publicly traded on NASDAQ. Dr. John R. Wingender, Jr. is the Chairman of the Department of Economics and Finance and a Full Professor of Finance at Creighton University. He has served as the Associate Dean of Undergraduate Programs at Creighton University. He previously taught at Oklahoma State University for twelve years where he was named the Ardmore Professor of Business Administration. He was awarded a Fulbright grant and to teach and conduct research at the International Management Center, now the Central European University Business School, in Budapest, Hungary. He was a Fellow at Trinity College in Dublin, Ireland in the Institute of International Integration Studies. He has been a Visiting Faculty member for Peking University in its Beijing International MBA (BiMBA) program since 2004. He received his Ph.D. from the University of Nebraska in 1985. He teaches managerial finance, international financial management, investment analysis, and portfolio management. Dr. Wingender has published more than 4articles in various refereed business journals, such as the Journal of Financial and Quantitative Analysis, Journal of Banking and Finance, Management Science, Journal of Business and Economic Statistics, Journal of Financial Research, The Financial Review, and the Journal of Business Research. He is an Editor of the Quarterly Journal of Finance and Accounting and an Associate Editor for the Quarterly Review of Economics and Finance. He has been the President and officer of the Midwest Finance Association and the Association of Business Simulation and Experiential Learning. His research interests include the distribution of stock returns, the use of financial derivatives, counter cyclical hiring, and the decertification of unions. Dr. Wingender is currently the Treasurer of the Creighton Federal Credit Union Board of Directors. He serves on several non-profit boards. At Creighton University he is the Faculty Advisor for the Financial Management Association (FMA) Student Chapter and the Phi Kappa Psi Fraternity. He has consulted internationally for many businesses such as Ernst and Young, Ely Lily, Coca Cola, Dell Computers, and the World Bank, most recently conducting a Financial Analysis training program for Pfizer, China. Dr. Wingender has been awarded several teaching and research awards. In 2008 he was honored with the Outstanding Teacher Award at the Beijing International MBA program from 2004 to 2007. He has earned several national FMA Superior Faculty Advisor Awards. In 2007 he was honored with the Robert F. Kennedy Memorial Teaching Award, the top teaching award at Creighton University. He won a similar award at Oklahoma State University in 1990. Dr. Mary Werner, Professor, Jacksonville University, Jacksonville, Florida. Dr. Mary Werner is a Professor of Marketing at Jacksonville University, Jacksonville, Florida. Her Ph.D. in Marketing is from The University of Tennessee, Knoxville, Tennessee. She also has an MBA in Marketing from The University of Miami in Coral Gables, Florida and a BBA in Marketing from Emory University in Atlanta, Georgia where she graduated with honors. Dr. Werner is a former Division Chair of Management, Marketing and Entrepreneurship at Jacksonville University where she has taught in the EMBA, MBA, and ADP Programs. She currently teaches in the Traditional Undergraduate Program. Many of Dr. Werner’s students have used the marketing plans done in her classes to run various businesses. Dr. Werner is published in the areas of Consumer Behavior, The Marketing of Higher Education, Online Marketing, Promotion, Marketing Strategy and Global Marketing. Dr. A. Can Inci is a Professor of Finance at Bryant University. He received a BS in Electrical and Electronics Engineering from Bogazici University, Istanbul, Turkey (1993), M.Sc. in Control Systems from Imperial College – University of London, U.K. (1994), MBA from Ohio State University (1996), and Ph.D. from Ross School of Business, The University of Michigan (2001). He was an Assistant Professor of Finance at Florida State University (2001-2007), Sabanci University (2006-2008), and a visiting Professor of Finance at Cass Business School – City University of London. Prof. Inci has presented papers nationally and internationally and has published extensively in the field of investments, financial markets, corporate finance, market microstructure, futures and oil markets, and economics. He is on the Editorial Board of numerous international finance journals such as Global Finance Journal, serves as an editorial reviewer for a large number of academic journals, and is on the scientific program committee of several prestigious international academic conferences. Prof. Inci has also served on several Ph.D. committees. 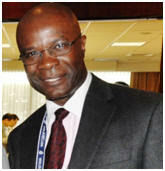 He is an international Finance and Business Program Accreditation consultant and a consultant for the Expert Institute. Prof. Inci has published at top level Finance and Economics journals such as the Journal of Financial and Quantitative Analysis, Financial Management, and Journal of Economic Dynamics and Control. He has received numerous Best Paper Awards at International Conferences, and he is the recipient of the Santander Research Grant, Marie Curie International Reintegration Grant, Merit Awards, and Summer Research Grants. 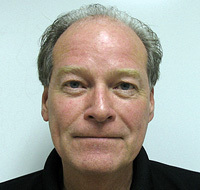 Dr. Steven Taylor is a Professor of Marketing who joined the faculty of Illinois State University in the Fall of 1992. He received his Ph.D. in Marketing from the Florida State University (1992). Prior to entering academics, Dr. Taylor enjoyed managerial experiences with the US Navy (seven years), as well as the drug screening, pharmaceutical sales, and hospital management industries. Dr. Taylor's areas of expertise concern Services Marketing, Relationship Marketing, and eBusiness with an emphasis on how the service quality, value, satisfaction, and loyalty constructs operate in consumer models of judgment and decision making. Professor Taylor has published 50 refereed academic journal articles in his academic career to date across numerous journal outlets such as the Journal of Marketing, Journal of Service Research, Journal of Retailing, Journal of Service Management, British Journal of Social Psychology, Journal of Business Ethics, Journal of Insurance Issues, Journal of Product and Brand Management, International Journal of E-Business Research, among numerous others. He has also published many refereed proceedings and invited book chapters. Most recently, Dr. Taylor has focused on attitude-based models of human decision-making in consumer contexts, including a series of articles investigating digital piracy behaviors. In addition to regularly serving as an ad hoc reviewer for numerous marketing journals, Dr. Taylor also recently served for a decade as the Co-Editor of the Journal of Consumer Satisfaction, Dissatisfaction & Complaining Behavior, currently serving as an Associate Editor for the journal since 2014. Dr. Taylor has also been a long-term member of the Editorial Review Boards of the Journal of Service Research (founding member) and the Journal of Service Management. He has consulted across a wide variety of industries, including recent projects for insurance, retail, health care, and manufacturing concerns. Professor Taylor was recently named the Hinderliter Chair of Business (2012-2013). He has previously been honored with the Outstanding Reviewer for the Journal of Service Research (2007), Illinois State University Outstanding Researcher (2013), Mannehan College of Business Outstanding Teaching Award (2001), Illinois State University Teaching Initiative Award (1997), the Illinois State University Caterpillar Scholar (1998, 2003), the Illinois State University College of Business Outstanding Researcher Award (1997, 2009), the Wilma Jean Alexander Technology Innovation Award (1997), and the Illinois State University Research Initiative Award (1995). Dr. Kuan-Chou Chen is a Professor of Management Information Systems and Department Head and of Department of Information Systems, Finance, and Business Analytics, as well as Interim Department Head of Department of Graduate Studies in Education (2013-2014) at Purdue University Calumet. He received his Ph.D. from the Michigan State University, and MBA from National Cheng-Kung University at Taiwan. He specialized in computer programming, system simulation, project management, decision support systems, data mining, system analysis and design, e-business strategy and application, supply chain management, network design and security, knowledge management, and information economy. Professor Chen has more than 90 scholarly publications, most in peer-reviewed journals. He is an active participant in several professional journals and serves on three paper reviewer boards. Currently he is an Editor-in-Chief of International Journal of e-Education, e-Business, e-Management and e-Learning. His productivity and scholarship has been recognized by his colleagues, being nominated three years in a row for an “Outstanding Scholar Award.” He also the recipient of Teacher of the Year Award (Purdue University Calumet, 2005). In his working experience, he worked as System Engineer and Project Manager at Electronic Data Systems (EDS). He also been taught at several universities: Purdue University West Lafayette, Bowling Green State University, IVY Tech State College, Lansing Community College, and Davenport University. He has initiated experiential and service learning opportunities with community partners to Purdue University Calumet. Internally, he won experiential learning course development grants four times to create service learning courses connection between the real-world and academia. The community partners include the Hammond Innovation Center, Vision One, and the Methodist Hospitals Foundation. He was also awarded several external grants from Indiana Campus Compact to service a learning project with a local community hospital. He is also very active in mentoring undergraduate research. He has mentored more than 30 undergraduate students to awarded undergraduate research grants at Purdue University Calumet. He also supervised Ball State University Information Systems annual case competition and won championship in 2012 and 2013. Professor Chen has served as a visiting scholar at the following universities overseas: National Cheng-Kung University (Taiwan), National Taiwan University of Science and Technology (Taiwan), National Sun Yat-sen University (Taiwan), National Pingtung University of Science and Technology (Taiwan), Chinese Culture University (Taiwan), John Paul II Catholic University of Lublin (Poland), and Inner Mongolia University of Technology (China). Dr. Stephen Gara is the Director of the School of Accounting and Associate Professor of Accounting at Drake University. He received his BS from Syracuse University, JD from Southern Methodist University, LLM from Georgetown University and a PhD from the University of Memphis. Prior to joining Drake University in 2005, Dr. Gara taught at Long Island University-CW Post and Old Dominion University. Dr. Gara’s research interests include taxation, financial reporting and accounting education. He research has appeared in over 25 national and international journals and conferences, including Advances in Taxation, Advances in Accounting Education, CPA Journal, Review of Quantitative Finance and Accounting, and Education Finance and Policy. Additionally, Dr. Gara is both a Certified Public Accountant and licensed attorney. Prior to entering academia, Dr. Gara was a tax attorney in Washington, DC. He is a member of the American Accounting Association, American Taxation Association, Academy of Legal Studies in Business, and Financial Executives International. Dr. Roger H. Bezdek, U.S. Department of the Treasury, Washington, D.C.
Dr. Bezdek joined the Treasury Department in 1980 and, prior to assuming his current position in 1987, served in Treasury as Research Director and as Special Advisor on Energy. Prior to joining Treasury, he was a Division Director in the Department of Energy and the Energy Research and Development Administration, Director of Interindusty Research at the Commerce Department, and on the faculty of the University of Illinois (Urbana), where he held appointments in the Department of Economics, the Institute of Labor and Industrial Relations, and the Center for Advanced Computation. He has served as U.S. Delegate to the European Community and to the North Atlantic Treaty Organization, as a member of the State Department AMPART program, and as a member of the National Science Foundation/State Department exchange program with the USSR on economic forecasting.. Since February 2003, he has been a member of the select Federal government Task Force charged with the responsibility for reconstructing the economy of Iraq. Working with senior officials from Treasury, the White House, the State Department, the Department of Defense, the Federal Reserve, the Iraq Coalition Provisional Authority, and other agencies, the Task Force is responsible for paying 3 million Iraqi civil servants, essential workers, and pensioners, developing a budget for Iraq, administering oil revenues, writing new commercial law, establishing a nationwide payments and financial management system, introducing a new currency, reforming the banking sector, rescheduling Iraq’s international debt, establishing monetary and fiscal policies, developing a new tax system, establishing a stock market, obtaining financial assistance from international donors, creating a Trade Bank to facilitate exports and imports, and other economic and financial reforms, Dr. Bezdek is the recipient of numerous honors and awards (including a Ford Foundation Fellowship to Harvard University, and awards from the Secretary of the Treasury, the National Science Foundation, the White House, the Department of Energy, the Wall Street Journal, the Association for Computing Machinery, and the USSR Academy of Sciences). 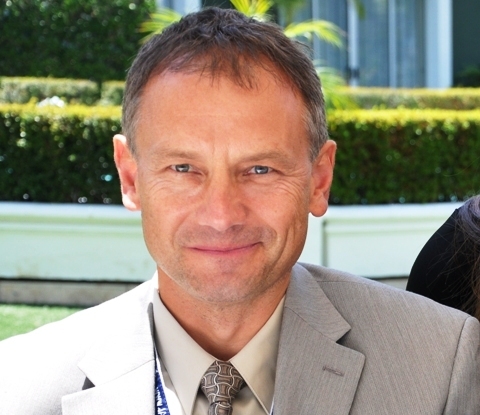 Dr. Bezdek received his Ph.D. in Economics from the University of Illinois (Urbana), is the author of three books and of 200 articles in scientific and technical journals, and is active in several professional associations, including the American Statistical Association and the Institute for Operations Research and the Management Sciences. He is married to Priscilla L. Bezdek and has four children. Dr. Stewart L. Tubbs, The Darrell H. Cooper Professor of Leadership and former Dean of the College of Business at Eastern Michigan University. Dr. Tubbs received his doctorate from the University of Kansas. His Masters and Bachelors degrees are from Bowling Green State University. He has completed postdoctoral study at Harvard Business School, Stanford Graduate School of Business and The Center for Creative Leadership in Greensboro, North Carolina. He served as Associate Dean of the College of Business at Boise State University. He also served as Chair of the Management Department at Boise State University. Prior to that, he was a professor of organizational behavior at General Motors Institute. 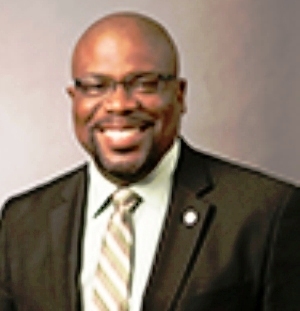 He also served as Assistant Director of Community Development for the University of Kansas. Dr. Tubbs has consulted for numerous corporations and has won five awards for his outstanding teaching. In 1994 he received the Outstanding Leadership Award in London, England from the Academy of Business Administration. He is also a member of the Distinguished Alumni Hall of Fame at Lakewood High School in Lakewood, Ohio. Dr. Tubbs is the author of several best-selling books including: A Systems Approach to Small Group Interaction (8th ed. ), New York: McGraw-Hill, 2004: Human Communication: Principles and Contexts (9th ed.) (with Sylvia Moss), New York: McGraw-Hill. 2003. (Chinese edition published in 2004). : Keys to Leadership: 95 Steps to Success. New York: McGraw-Hill, 2004. He is the author of a monthly newspaper column entitled “Insights.” He has also published in or been quoted in Cosmopolitan, Industry Week, Management Review, The Journal of Leadership Studies, The Wall Street Journal, Personnel, Teams Magazine (in England), The Detroit Free Press, The Detroit News and numerous other publications. He has served on several corporate Boards as well as on the boards of several not-for-profit organizations. He also served as the Chair of the Organizational Communication Division of the Academy of Management and is a Contributing Editor to The Journal of Leadership and Organizational Studies. Dr. Heather L Garten is assistant professor in the College of Arts and Sciences at Embry-Riddle Aeronautical University, Worldwide. She received her PhD in mathematics from Emory University in 2005, and her Bachelor’s from Stetson University in both Mathematics and Economics in 2000. While at the Department of Defense (2005-2011), she earned her Lean Six Sigma Greenbelt, completing the first Lean Six Sigma project at the National Security Agency (NSA) in addition to graduating a rigorous Applied Mathematics Program. Dr. Garten is a member of the Center for Aviation and Aerospace Leadership (CAAL), and writes regularly for the CAAL blog. Dr. Garten serves as an Expert on the Airport Cooperative Research Program (ACRP) synthesis Practices in Developing Effective Stakeholder Relationships at Smaller Airports. Dr. Garten is an active member in the community, and is a member of the Rollins College Philanthropy & Nonprofit Leadership Center. She was appointed as a speaker for the Ronald McDonald House charities in Orlando, FL, volunteers with the Orlando Science Center, and serves as the community outreach liaison for White House Black Market, Winter Park, FL. Dr. Garten is often found baking exquisite, unique goodies for philanthropic events, and will be featured at the 2014 Orlando Science Center’s Neanderthal Ball. Dr. Garten has continually promoted growth through innovative education, speaking at over ten STEM (Science, Technology, Engineering, Mathematics) conferences as Director of the Mathematical Sciences Program, a grant making program at the NSA. Continuing her thirst for knowledge and empowering others, Dr. Garten founded and trademarked (se)XY STEM®: A STEM initiative that recognizes the value of collaboration through STEM, from fashion design to cooking to aeronautics. The basis of (se)XYSTEM®, the XY-Generation Mentality, drives a large portion of her research emphasizing the new global paradigm that is emerging, predominantly due to the advances in technology and aerospace. Dr. Garten refers to those who are creating this exciting paradigm as the (se)XY-Generation, and never misses an opportunity to present this subject to future leaders, of all ages. Dr. Donald Margotta is Associate Professor of Finance in the College of Business at Northeastern University in Boston. He received BS and MS degrees from Stevens Institute of Technology, an MBA from Rutgers University, and a Ph.D. from the University of North Carolina at Chapel Hill in 1983. Prior to entering the academic world Dr. Margotta served in corporate and international management positions for several corporations. His primary area of academic research deals with mergers and corporate governance issues. Related to those interests he has served as an expert witness in approximately fifteen court cases dealing with hostile takeovers and takeover defenses. He was appointed to the Commission to Review Massachusetts Takeover Laws, a Commission that wrote the current takeover laws in Massachusetts, and he has served as a consultant to several Fortune 500 companies on issues pertaining to corporate governance. In addition, he served as a consultant to the Business Roundtable, a corporate advocacy group composed of the CEO’s of the two hundred largest U.S. companies. In public policy forums Dr. Margotta has testified before the Securities and Exchange Commission and several U.S. Congressional Committees, and he has provided testimony regarding takeover laws to legislatures in Delaware, Pennsylvania, Massachusetts, and New Jersey. Dr. Margotta has presented scholarly papers nationally and internationally and has numerous academic and popular publications. He has also been a recipient of Northeastern University's award for Teaching Excellence. 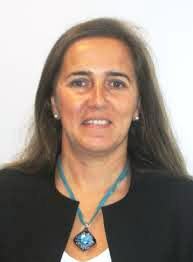 A native of Mexico City, Dr. Martinez is a professor of quantitative methods at the Monfort College of Business of the University of Northern Colorado. He received a bachelor degree in business from the Universidad Iberoamericana (1976), a M.S in economics from Colorado State University (1980) and a Ph.D in economics from Vanderbilt University (1992). Between 2002 and 2006 he was a partner of CG Americas, a consulting firm that promoted business between the U.S.A and Mexico. His responsibilities included: organization of business missions from Colorado to Mexico, translations of business documents and writing financial narratives of Mexican firms that were looking for capital in the U.S. In courses organized by the International Monetary Fund, Dr. Martinez taught econometrics and macroeconomics to officers of the central banks of the Central American nations (1991-1992). Between 2000 and 2013, Dr. Martinez has taught several seminars about the business cultures and economies of the Latin American nations in Germany and in the Czech Republic. Dr. Martinez has published several articles dealing with the economies of Latin America. He has being a reviewer for the International Business and Economics Research Journal and of three textbooks of business statistics. Dr. Shahram Amiri is the chair of the Department of Decision and Information Sciences at the School of Business Administration; of Stetson University, Deland, Florida. 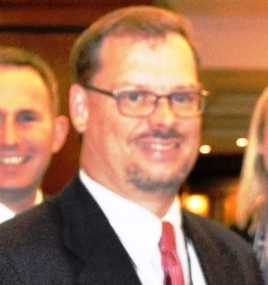 He is a faculty member with Salzburg Seminars in Salzburg Austria As a CIO and a senior executive for over 20 years, he has provided leadership and direction for large IT organizations at four different institutions of higher learning: Norfolk State University, Christopher Newport University, Williams College, and Stetson University. In each case, he posted a track record of successful, cost-effective and productive IT innovation and implementation. Because of his strong commitment to serving the community and state, he founded and served as President and Chief Executive Officer of the Institute for the Study of Digital Inclusion (ISDI); a (501c3) Nonprofit Organization. ISDI’s mission is to promote the use of effective and affordable technology and enhance individual lives. Over 1000 students (2003-2011) from underserved communities in state of Florida graduated from the Institute (The Make-It-Take-It After School Program) where they learned internet literacy and built and received their own computers. Dr. Amiri has taught at Stetson University since 2003. His research includes the impact of Information and Communication Technology (ICT) on E-commerce, E-health, E-learning, E-government, socio-economics and Gross Domestic Product. His writing has been published in many academic and scientific journals including: International Journal of Applied Science and Technology, AI &Society, IBM Journal of Research and Development and International Journal of Business, Humanities and Technology. Right to Left: Ms. Amber Hroch, UCLA, California; Dr. Igor Paramonov, Keynote Speaker, Southern Alberta Institute of Technology, Canada. Dr. Igor M. Paramonov has over thirty years of research, teaching, and consulting experience in North America and the former USSR. His academic activities have resulted in close to forty publications and numerous presentations covering regional economic integration, foreign direct investment, marketing channels for industrial products, economic geography, and business education. Dr. Paramonov received a grant from the Association of Universities and Colleges of Canada to participate in the 1991-1992 Canada-USSR Academic Exchange Program at the University of Western Ontario. In 1996 he was selected by the Fulbright Office in Moscow for a research and faculty development program at the University of Montana in association with the United States Information Agency. Since 1998, Dr. Paramonov has lived and worked in Calgary, Canada. He is a faculty member at the Southern Alberta Institute of Technology and has also been affiliated with the University of Calgary. His consulting experience involves a variety of projects in the fields of international business, regional economic development, and higher education, dealing with marketing research, feasibility studies, and market entry recommendations for small and medium-size firms and non-for profit organizations in the U.S, Canada, Russia, and Ukraine. Dr. Paramonov teaches traditional courses in management, marketing, and international business as well as custom-made courses such as Business under NAFTA. He has also received awards for teaching excellence including the Mortar Board’s Professor Award from the University of Montana’s Pentralia Chapter. Dr. Doug Flint has his PhD from the University of Toronto. He is an Associate Professor of Human Resource Management in the Faculty of Management at the University of New Brunswick. He teaches Organizational Behavior, Human Resource Management, Strategic Human Resource Management, and Compensation in the BBA and MBA programs. He has consulted on human resource management issues for large organizations such as Babcock & Wilcox, Bell Canada, Canary Health Services, The Hay Group, and The Royal Bank, as well as for smaller and not-for-profit enterprises. Doug's academic interests center on organizational justice. His publications have appeared in: The Journal of the American Academy of Business, Cambridge; The Business Review, Cambridge; Human Resource Management Review; the Journal of Health Organization and Management; and Personnel Review. Dr. Roger D. Hanagriff is a professor of continuing education at Texas A&M University where is currently working on agricultural business educational materials and program assessment. His previously employment experience has been a tenured Associate Professor a Sam Houston State University and Texas A&M University Kingsville. In teaching, Dr. Hanagriff has received numerous teaching awards such as the 2010 & 2008 Texas A&M Universities Chancellors Teaching Excellence Award and 2007 NACTA Teaching Fellow. His scholarly experience includes over $2.5 million in funded projects, 40 peer-reviewed research articles as well as over 50 invited presentations. His current research work includes the economic value of tourism spending, winery tourism and relations to community economic development and program assessment related to agricultural education. Dr. Falih M. Alsaaty is Professor of Business Administration in the Department of Management, Marketing, and Public Administration at the College of Business, Bowie State University. He, in cooperation with other faculty members, played the key role in the creation of the College’s MBA Program. He received his MBA and Ph.D. degrees from the Graduate School of Business Administration (Stern School of Business), New York University, New York. Prior to joining the University, Dr. Alsaaty was Professor of Management and Director of the International Business Center at the University of the District of Columbia, Washington, DC. He has extensive teaching and research experience in the fields of Management, Business Strategy, and Entrepreneurship. He taught in a number of universities in the United States and abroad, including the American University, Washington, DC; Baghdad University, Baghdad, Iraq; and Jordan University, Amman, Jordan. He also serviced in a few other organizations, including the World Bank, Washington, DC. Dr. Alsaaty has numerous publications in professional journals. He has also published four books. The most recent book (co-authored with Dr. Hany H. Makhlouf), entitled Entrepreneurial Reach (2012). Dr. Aysegul Timur is a Professor and Chair of Business Administration for undergraduate and graduate programs at the Johnson School of Business, Hodges University. Dr. Timur received her doctoral degree in Economics from the University of South Florida, and both her Master’s and Bachelor’s degrees in Business Administration from the University of Istanbul. Her areas of specialization include business policy and organizational development, quality control, statistics for strategic planning, health (especially pharmaceutical pricing) and international economics. She has been a faculty member at Hodges University since 2000. Dr. Timur is also a management consultant and corporate trainer for local companies in Southwest Florida. Her distinguished teaching and scholarly attributes were recognized by the Hodges University community when she was awarded Professor of the Year for 2005, Dean’s Research Award in 2007 and Dean’s Community and University Service Award in 2008 at the Kenneth Oscar Johnson School of Business. 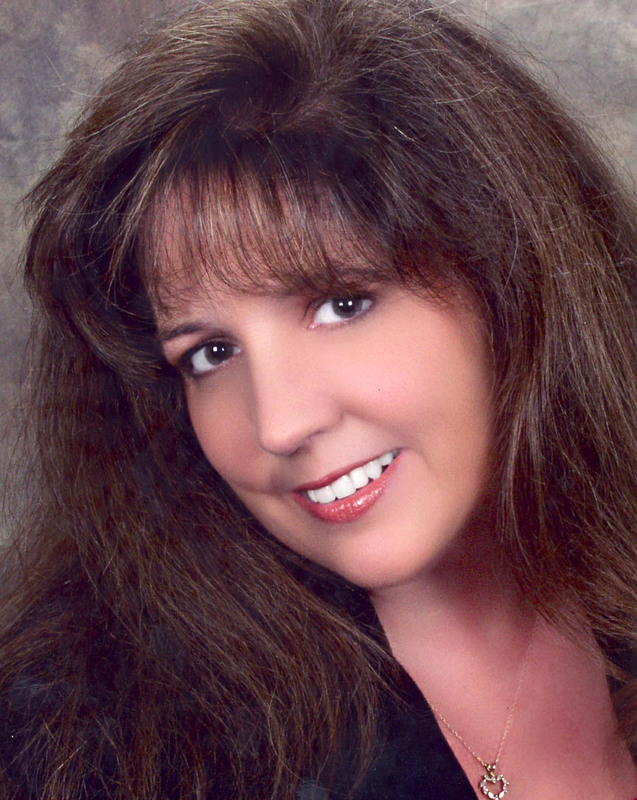 Her accomplishments, service and contributions to the Lee County Community are also recognized by the Greater Ft. Myers Chamber of Commerce as one of the five finalists for the Women in Business APEX Awards of 2009. Dr. Timur is a member of the Sigma Beta Delta and Beta Gamma Sigma International Honor Societies and a member of the Southern Economic Association, International Health Economics Association, American Society of Health Economists, the Clute Institute and Naples Council on World Affairs (including Outreach Committee). Her work has been published in several distinguished journals and presented in international and national conferences. She enjoys contributing to her community, volunteer service for educational systems, speaking at civic organizations and participating in chamber of commerce and other community organizations’ research projects. She defines education not solely about degree programs or specific disciplines to accomplish, but about helping her students find their potential by learning how to think critically, communicate effectively, take initiative, demonstrate leadership, and research information to avoid biased thinking. It is a long-standing goal of hers to help create a “thinking community” with intellectual and professional citizens. She has a goal of making a beneficial difference in the lives of her students, personally and professionally, via quality education in an effective learning environment that makes use of advanced educational technology. As a faculty member, she is both honored and proud to see her students succeed in career advancement and recognition in the business world. Dr. Wayne Jones received his doctorate in International Management (International Organization and Strategy) from the University of Hawaii and his MBA (Management and Human Resources with an additional concentration in Entrepreneurship), Master of Science (International Business), and Bachelor of Science (Geology and Geophysics, Physical Geography) degrees from the University of Wisconsin – Madison. He has been a business owner and worked as an environmental scientist, international consultant, martial arts instructor, and university professor in large and small, new and established, and public and private organizations and government entities in the United States and abroad. 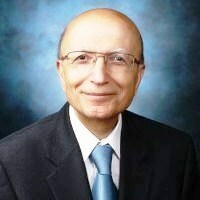 He has taught in undergraduate, MBA, M.S., Masters in Biotechnology, EMBA, and executive training programs and given invited presentations to doctoral programs in major national and international universities, including the University of Wisconsin – Madison, University of Hawaii, California State University, Hawaii Pacific University, Roosevelt University, University of Tampa, Bond University (Australia), Chinese Academy of Sciences (People’s Republic of China), and the Maastricht School of Management/Ho Chi Minh City University of Technology (Vietnam). He most recently was hired to be the Director of Entrepreneurship Programs at the University of South Florida Polytechnic where he designed new courses and programs related to entrepreneurship and technology and innovation management, worked to establish an entrepreneurship center, assisted foreign firms seeking to make “soft landings” in the United States, and developed international initiatives in an effort to help build a new and independent academic institution. Dr. Joseph C. Santora is the Director of Research/Visiting Professor of Management, ENPC School of International Management, Paris, France. He has held several administrative/faculty positions in United States as well as visiting professorships and fellowships in Australia, Europe, Georgia, and Russia. He received his doctorate from the Fordham University, and his Master’s and Bachelor’s degrees from Seton Hall University. He completed postdoctoral study at Harvard, Princeton and New York. Dr. Santora has consulted for some two dozen organizations and led two private organizations. He has authored/co-authored more than 150 publications, of which several have received best paper awards, and he has presented paper at international conferences in 13 countries on four continents. He serves on eight academic journal editorial boards. Dr. Bala Maniam is a Professor of Finance and is the former chair of the Department of General Business and Finance at Sam Houston State University. He received his doctorate from the University of Mississippi. His Masters and Bachelors degrees are from Arkansas State University. He has won numerous teaching awards, including Excellence in Teaching from Sam Houston State University, Excellence in Teaching from Association of Business Administration, and several more. He has also won the Excellence in Research at Sam Houston State University for his scholarly work. He has published over a hundred and twenty articles in journals. Similarly, he has won several service awards for his contribution to his profession. Dr. Charles R. Salter is an author and Chair of the Department of Business Administration at Schreiner University in Kerrville, Texas. He also teaches and serves on dissertation committees in the Doctorate of Leadership Studies for Our Lady of the Lake University San Antonio. He has held various community, academic and corporate leadership positions specializing in leadership and finance. As a former city councilman of The Woodlands, Texas, Executive for Baker Hughes, Inc., President of 3 his own entrepreneurial endeavors, and President and Elder in the Lutheran Church Charles brings a unique perspective to his study and publications on the various forms of leadership. Dr. Salter holds a Bachelor of Journalism from the University of Georgia, a Masters of Business Administration concentration in Management and Finance from University of Houston, and a Doctorate of Philosophy from Our Lady of the Lake University San Antonio. A licensed Texas Real Estate Broker and former Financial Investment Advisor (IA), holding Series 6, 63, & 65 securities licenses his professional consulting experience has been eclectic having consulted major utility companies, universities, symphony orchestras, medical doctors, and school districts on communication and leadership. Right to Left: Dorothy McCuller, London, UK; Dr. Fred Maidment, Professor, Western Connecticut State University in Danbury, Connecticut. 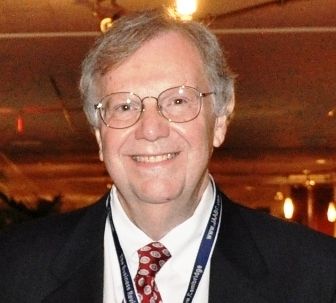 Dr. Fred Maidment is a Professor in the Department of Management of the Ancell School of Business at Western Connecticut State University in Danbury, Connecticut. He has been on the faculties of a number of universities and colleges including the University of South Carolina and Southern Illinois University at Carbondale. Dr. Maidment received his BS from NYU’s Stern School of Business (then the School of Commerce), his MBA from the Baruch College of the City University of New York and his doctorate from the University of South Carolina, Columbia. In addition, he has been a Visiting Scholar at the Warrington College of Business of the University of Florida – Gainesville. His business experience includes the Chase Manhattan Bank, and the NCR Corporation as well as experience as the owner and operator of his own business. Dr. Maidment’s consulting assignments have included agencies of the Federal government, not-for-profit agencies, as well as corporations. He is the author or co-author of an extensive list of articles dealing with topics in human resources and international business in both the academic and practitioner press. He is the editor, co-editor, author or co-author of 25 titles in over 130 editions. Current titles include Annual Editions: Human Resources; Annual Editions: International Business and Annual Editions: Management all of which he has been the editor for over 20 years; co-author of Business in Government and Society: Ethical, International Decision-making from Pearson/Prentice-Hall and is the author of the recently published What Your Boss Doesn’t Want You to Know: How to Succeed (and Excel!) in the Global Economy from Motivational Press. He and his wife, Sandra, are the proud parents of four children and three grandchildren. 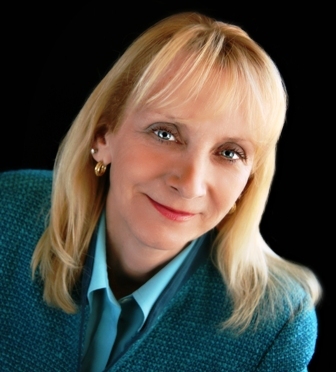 Dr. Marian C. Schultz holds Associate and Bachelor’s degree from the University of Detroit Mercy, a Master’s degree from Pepperdine University, and a Doctorate from the University of Southern California. She has taught various business courses for The University of Hawaii, Chaminade University and Hawaii Pacific University while living in Hawaii. While in San Antonio she taught in the Marketing and Management Department for The University of Texas at San Antonio, and later taught full time for St. Mary’s University School of Business and Administration. In addition to her teaching, Dr. Schultz is actively involved in consulting work for businesses such as Pace Foods of San Antonio (known for their taco & picante sauce), The Winning Edge, 149th Tactical Fighter Group of the Texas Air National Guard, First City Bank, and Health America and 46th Support Wing at Eglin AFB. Dr. Schultz has held membership in the Academy of Management, American Educational Research Association, American Society for Training and Development, Council on Employee Responsibilities & Rights, Association of Management, Economic and Business Historical Society, Association of Business Communication, and the Atlantic Economic Society.. Her publications and research include such topics as Stress, Comparable Worth, Crisis Management, Diversity Training, Leadership, Humorology, Aviation Management, Crew Resource Management, Virtual Training, Online Instruction, Gender Diversity and Power. Dr. Schultz has published in excess of 40 refereed articles and 45 proceedings, and has presented papers at more than 100 regional, national and international conferences. She is a tenured full professor of Management/MIS at The University of West Florida. She is married to Dr. Jim Schultz, a retired USAF Lieutenant Colonel, who is a tenured full professor & department chair at Embry Riddle Aeronautical University. They have two sons, Jeremy (24) and Joshua (19). Jeremy is a graduate of Bellarmine University and is currently pursuing his Master’s degree from Embry Riddle Aeronautical University and Joshua is a junior at Spring College. Dr. Walayet A. Khan is Professor Finance at the University of Evansville, Indiana. He received his Ph.D. in 1990 in finance from the University of Arkansas, Fayetteville. Dr. Khan is an active research scholar and he maintains a consistent record of scholarly work. He has published numerous research papers in journals including the Journal of Financial Research, Financial Review, Quarterly Journal of Finance & Accounting, Journal of Business & Economics, Applied Business Research, Journal of Economics & Finance, and journal of Asia Business Studies. He has also presented numerous papers in national as well as international conferences. 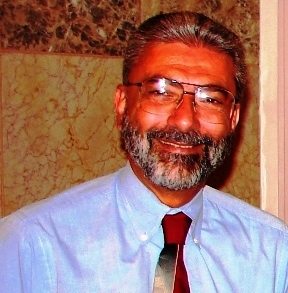 He has served as consultant for many national and international organizations, including the Philadelphia Stock Exchange, Chicago Stock Exchange, Attain (Electronic Communications Network), and the Kaplan Schweser, Inc. Dr. Khan is a recipient of several awards including 1996 outstanding teacher of the year (University of Evansville), 2006 UE Global Scholar (University of Evansville), 2000 outstanding teacher of the year (School of Business) and 2008 outstanding researcher of the year (School of Business). Dr. Jude E. Edwards is a Full Professor of Business at Washington Adventist University in their Undergraduate Business, MBA, MPA and Online programs. He is also a member of the Advisory Board for Academic Development at Capitol College and the Center Of Excellence at Washington Adventist University. 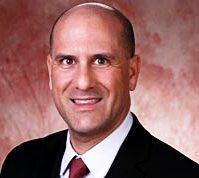 He received his BSc from the University of Maryland (1995), MSc from the University of Maryland (1998), and DBA – International Business from the H. Wayne Huizenga School of Business and Entrepreneurship, Nova South Eastern University (2003) and was voted Distinguished and Outstanding Graduate of the Year (2003). His dissertation was entitled “The Relationship between E-Commerce Readiness and Technology Acceptance – The Case of Barbados”. For the past ten years, he developed and taught courses in Business, Information Technology, and Healthcare Informatics and Administration. In addition, he teaches as an Adjunct Professor for several other universities in their Online programs. 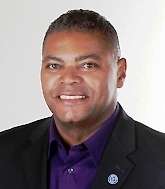 Dr. Edwards is an international conference presenter having published in the field of Public Policy, Business Development, and Health Care Information Systems. He has contributed case studies to two books: Handbook of MAR-KET SEG-MEN-TA-TION (Strategic Target Marketing for Business and Technology Firms) and Superior Customer Value in the New Economy. 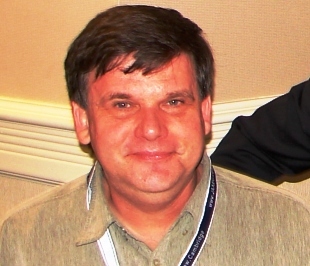 Dr. Edwards wrote and published several articles in refereed journals: International Association for Computer Information Systems and the International Journal of Business Research. Some of these articles included: “The Relationship of E-Commerce Readiness to Technology Acceptance - The Case of Barbados - Issues in Information Systems Synchronizing Knowledge”, “Creating a Sustainable E-Commerce Environment”; and “Telemedicine Usage in France and the U.S - An Exploratory Investigation Using the Technology Acceptance Model”. Dr. Edwards hosted multiple conferences on Public Policy, Economic and Business Development for underdeveloped regions of the world including India, Latin America, the Caribbean, and Central Europe. In 2008, Dr. Edwards was appointed to International Academy of Business and Economics Peer Review Committee. From 2004 to 2006, Dr. Edwards served as an advisor and consultant to the government of Barbados and CARICOM in the area of E-Commerce as a catalyst for business and economic development. Dr. Edwards has over 40 years of a rich corporate experience in Aviation, Space and Law Enforcement, Investigation IT systems, and Business Development. Dr. Edwards worked for several leading Corporations, including IBM, EDS, Raytheon, and Lockheed Martin. He provided consultative services to NASA, FAA, ICE, and other Federal Law Enforcement and Investigation agencies. His current research includes Healthcare Informatics, Knowledge Management in Health Care, Business Development and Public Policy. Dr. Sanjeev Phukan is a Professor of Business Administration at Bemidji State University, one of the seven campuses of the Minnesota State University System. He also serves as the university’s Director of International Relations and as Chairman of International Studies Program. He received his undergraduate and masters’ degrees in Management Science from the Birla Institute of Technology and Science, India, his MBA from Illinois State University, and his PhD from Charles Sturt University in Australia. He holds visiting professorships at the University of the Western Cape in South Africa, HELP University College in Kuala Lumpur, Malaysia, and the National Economics University in Hanoi, Vietnam. He serves as an external examiner for several overseas institutions and serves in their advisory councils. He teaches in the areas of Operations Management and Information Resource Management. Dr. Phukan has published several articles in various refereed business journals such as the Journal of Information Systems Education, the Journal of Legal Economics, Information Management and Computer Security as well as the proceedings of various national and international conferences. In addition, he has published extensively in the field of educational software. His research interests include corporate behavior and codes of conduct, the use of information technology in the process of globalization and the development of curricula to meet a changing global environment. Dr. Phukan is the owner of two small companies and has provided consulting services to hundreds of small and medium sized enterprises, school districts, universities, and government entities of the past twenty five years. Professor David Wright combines an Engineering Ph.D. from Cambridge University, UK, with his current position as Full Professor in The University of Ottawa, Telfer School of Management to provide a business perspective on Information and Communications Technology, ICT, including its use to mitigate climate change. He regards the use of ICT in the smart grid, smart buildings and logistics as examples of corporate social responsibility that can be aligned with an ICT company’s strategy to identify new business opportunities. He has worked with telecommunications equipment vendors and network operators on market analysis, network evolution, service requirements and the strategic impact of new technology on business. At the University of Ottawa, Dr Wright provides undergraduate and graduate courses in Corporate Social Responsibility, Environmental Entrepreneurship and Electronic Commerce. He also provides professional training to the telecommunications industry in emerging telecommunications technologies and the smart grid. Dr Wright is cited in: Who's Who in the World; Who's Who in Canadian Business; Who's Who in Science and Engineering. Dr. Deniz Ozenbas is a Professor of Finance at Montclair State University School of Business. Her research is mainly in the field of market microstructure, market efficiency and volatility. Her work has been published in journals that include International Finance, Economics Letters, BE Press Journal of Macroeconomics and was presented at domestic and international conferences and universities. She has been awarded the Nasdaq Research Fellowship by the Nasdaq Stock Market in 2002, and received the Oscar Lasdon Award for best dissertation in the area of Finance from Baruch College, City University of New York in 2003. Her joint work with Robert A Schwartz and Robert A. Wood has received the Award for Excellence / Outstanding Paper award at the Global Conference on Business and Economics annual meeting in London, England. She has also been awarded the Best Presentation award by the 2008 Economics & International Business Research Conference. Dr. Ozenbas also has done consulting work in the financial services industry both in the US and in Turkey. Dr. Ozenbas holds a PhD and an MPhil in Finance from the Graduate Center, City University of New York, an MBA from Baruch College and a BA from Bogazici University, Turkey. Dr. Raj Varma is Professor of Finance at the University of Delaware. Dr. Varma received his Ph.D. from the Pennsylvania State University. He has also served as a Visiting Associate Professor at the Wharton School of the University of Pennsylvania. Professor Varma teaches corporate finance at various levels in the undergraduate, graduate and executive education programs at the University of Delaware. Dr. Varma has been the recipient of excellence-in-teaching awards and honors over ten times at the University of Delaware and has also been recognized for exemplary performance as a professor at the University of Delaware. Professor Varma’s research interests include raising capital, financial institutions, and corporate governance and control. Dr. Varma has published numerous articles in several leading finance journals including the Journal of Financial Economics. Dr. Varma has been ranked in the list of ‘Top 1000’ faculty worldwide with regard to the weighted number of pages published in 16 core finance journals. According to a recent study released in the Social Sciences Research Network, Professor Varma ranked in the Top 2.3 percent of the 17,601 authors that had published in 26 core finance journals during the time period 1959 to 2008. Professor Varma has assisted with expert opinion testimony on a number of occasions for lawsuits in the areas of corporate governance and control and his articles in these and other areas have been cited frequently in various academic and popular publications. Dr.Varma’s research findings have been covered by a variety of media, including in the print media, the Wall Street Journal, Business Week, Forbes, Christian Science Monitor, Accounting Today, CFA Digest, and CFO, the Magazine for Senior Financial Executives; and in the electronic media Reuters, Business Wire, CFO.com, Dow Jones Newswires and Associated Press Online. Dr. Thomas Clark is President of CommuniSkills and Professor of Management & Entrepreneurship at Xavier University’s Williams College of Business, where he has taught for the past thirty years. He received his MA and PhD from Indiana University. He has directed Xavier MBA students to three national awards in small business consulting competitions, headed its nationally recognized Entrepreneurial Center, and initiated a first-in-the-nation career education program, The Business Profession, which has led to a 95% job placement rate for Xavier undergraduate business majors. He was selected as Xavier’s Teacher of the Year in 2005. He is the author of six books, including Power Communication and Career Strategies, and over 80 scholarly articles on topics related to business communication, careers, and small business strategy. The Association of Business Communication awarded him its Best Research award in 2003. Dr. Clark is the Founder and President of CommuniSkills, a business communication consulting firm. Its primary client is Procter & Gamble, for which Dr. Clark and his staff have taught over 500 business writing, public speaking, and interpersonal communication workshops. Other clients include General Electric, Manpower, and S. C. Johnson Wax. Dr. Joey Robertson is an Assistant Professor in the SHSU College of Business Administration. He holds degrees from Texas A&M University and South Texas College of Law. Dr. Robertson has published in the areas of the Fair Labor Standards Act, Employment Law, Human Resource Law, Bankruptcy, and practical applications of the law in the business environment. He currently serves as the Secretary/Treasurer for the Southern Academy of Legal Studies in Business. Before joining the faculty at Sam Houston State University Dr. Robertson practiced in the area of Labor and Employment and as a Prosecutor for the State of Texas. His law practice includes general litigation, wills, and general representation of individual and corporate clients. Prior to practicing law, Dr. Robertson was a consultant for several energy firms such as Dynegy, Reliant Energy, and Enron. Additionally he has served as a Division Manager for an international food company. He is married and raises his three sons in Huntsville, Texas. Dr. Kristina L. Guo, University of Hawai’i-West O’ahu, HI. Dr. Kristina L. Guo, Ph.D., MPH, Associate Professor of Public Administration and Director of Health Care Administration Program, University of Hawai’i-West O’ahu, HI. She is also the Director for the Health Care Administration (HCA) Program, where she is responsible for planning and program development as well as marketing and recruitment for the HCA program. In addition, she is actively involved in teaching core and elective courses in HCA and public administration. To enhance her teaching effectiveness, she conducts research and integrates her research publications in her courses. Her primary areas of research are in health care and public policy and management. Her publications have addressed political, economic, organization and management implications in the managed care environment. Dr. Guo has chaired and presented her work at various local, regional, national and international conferences. Her book, co-authored with T. Buss and F. Redburn on Modernizing Democracy: Innovations in Citizen Participation was recently published by ME Sharpe Publications. Dr. Guo holds a Ph.D. in Public Administration from Florida International University and a Master’s degree in Public Health from the University of Miami. Before joining UHWO, she was an Assistant Professor of Health Services Administration at Florida International University. Prior to her academic career, Dr. Guo accumulated extensive experience in the health care field. As the Assistant Director of Technology Transfer at the University of Miami, she was responsible for managing the University’s intellectual property. She also served as an administrator for several departments at the University of Miami/Jackson Memorial Medical Center. Her practitioner’s background and knowledge enables her to integrate real world experience into her teaching, research, and career advisement for her students. Dr. Pearl I. Steinbuch is the Director of Mount Ida College School of Business and Associate Professor of Business Administration and Management. She received a BA from Brandeis University (1979), M.Ed. from Harvard University (1980) and AM and Ph.D. from The Wharton School: University of Pennsylvania (1987, 1992). She was a faculty member of St. John's University College of Business Administration - Department of Quantitative Analysis (1984-1991). Dr. Steinbuch has presented papers nationally and internationally and published in the field of labor economics, income distribution and pay equity. She is on the Advisory Board of Scientific Journals International and serves as an editorial reviewer for a number of academic journals. Dr. Steinbuch has been appointed to the 2007-2008 Economics 1 Peer Review Committee for the Fulbright Senior Specialist Program. She is one of three experts in her discipline committee. Dr. Steinbuch has been invited to serve on the East Boston Public High School Advisory Board as part of the College Connections Program. She has also been an economic consultant for litigation support in the area of economic damage estimation. Dr. Steinbuch has spent many years working for a major international airline. Her consulting assignments included projects in England, Italy, Spain, Germany, South Africa, Greece, Sweden, Denmark, as well as a 15-month assignment in Paris. Her work focused on business process engineering and decision support models, feasibility analyses, and technical sales support. She has also worked in corporate development for both the airline industry and technology companies. Ara G. Volkan, Ph.D., CPA, joined the FGCU faculty in August 2004 as Eminent Scholar and Moorings Park Chair of Managerial Accounting. He received his doctorate in accounting from the University of Alabama in 1979. He holds a CPA certificate in Florida (1989). Following his teaching engagements at Syracuse University (1979-1985) and at University of South Alabama (1986-1989), Dr. Volkan chaired the Accounting and Finance Department at University of West Georgia (1989-2003). Prior to joining the faculty at FGCU, he was Interim Dean at the Richards College of Business at West Georgia (2003-2004) and directed the Banking and Finance in New York and London Program (1991 – 2003). In addition to his academic positions, Dr. Volkan had several consulting engagements with local CPA firms and other companies. He is a member of the board of directors Moorings Park, Inc. and its Finance Committee, the chair of the MPI Audit Committee, and the treasurer of Moorings Park Community Health, Inc. in Naples, FL. He served as a visiting team member for the AACSB accreditation processes. In addition, he was SACS accreditation director at U. of West Georgia (2000-2004). Dr. Volkan is a member of the AICPA, FICPA, IMA, AAA, as well as other academic and professional organizations. He has been recognized for his outstanding teaching at Syracuse and West Georgia. Also, the local chapters of the IMA and state CPA societies, along with several student associations at Syracuse, NY, Mobile, AL, and Carrollton, GA have recognized him for outstanding service. He serves as reviewer for several journals. He has authored numerous articles in academic and professional accounting journals and in other business outlets. Dr. Robert Runte is an associate professor in the Faculty of Education at the University of Lethbridge, Alberta, Canada, where he teaches sociology, evaluation, and research methodologies. His research interests are similarly diverse: With his wife, Mary Runte (associate professor in the Faculty of Management at the University of Lethbridge), he has presented on issues related to stakeholder analysis; work/family; and the management of knowledge workers (e.g., "Taylor-Made for Teachers: Deskilling Through Increased Competencies" International Journal of Humanization of Education). He has also presented extensively on evaluation practices in post-secondary education, and on the intersection of cyberculture and higher education. His most recent book chapters are on the student construction of the demands of academic writing, and using blogs as both data and a key research tool. He is currently conducting research on thesis and dissertation supervision to identify best practice in reducing student attrition at the writing stage. Before joining the University of Lethbridge in 1991, he spent ten years as a researcher and test specialist with the Evaluation Branch of Alberta Education. In 1995 he co-edited (with Gerald Taylor), the popular Canadian textbook, Thinking About Teaching, and joined the Society of Teaching and Learning in Higher Education in 1998. In 2007 he was invited to be part of the Alberta Student Assessment Study, and in 2008 became part of the task force preparing the Faculty of Management for ASAB accreditation. The need for business faculties to clearly identify and evaluate program goals will be the focus of his keynote address. No Information, pictures, tables, can be taken from this web site or any other linked web pages for any reason.